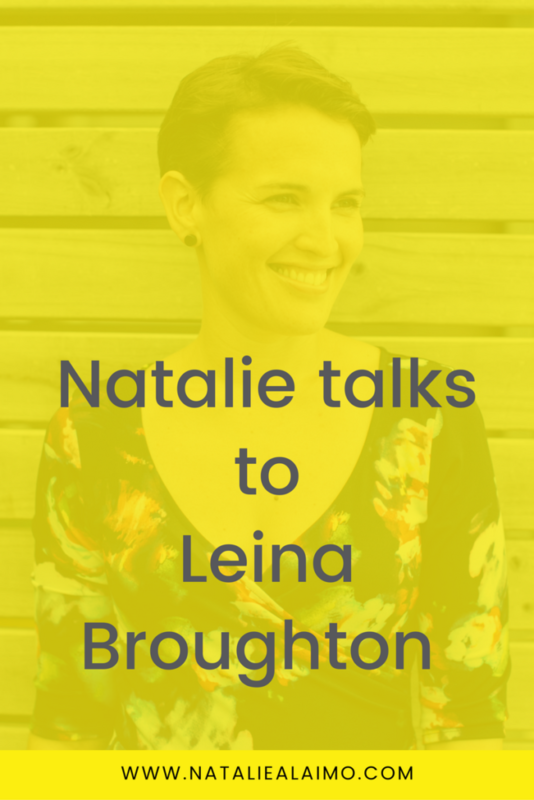 Natalie Alaimo talks to Leina Broughton, Creative Director and namesake at Leina Broughton. Let’s pull back the curtain and see what’s really going on in the lives of successful business women. Together we can inspire, support and educate each other to build better businesses, increase revenue and leave a legacy. They are proudly Australian made, beautifully cut and make you feel like a million dollars when you wear them. This is a big call for me as I’m not a dress person, but I’ve been lucky enough to add another LB to my collection and I’m planning on investing in another very shortly. 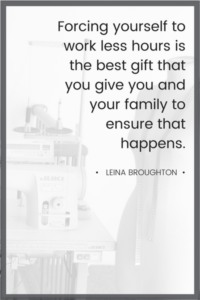 I hope you enjoy the insights provided by the one and only Leina Broughton. My extended family is in Auckland, NZ and we live in Palm Beach on the GoldCoast. My son, Ari, is 4yrs old and we have a ginger 3-legged pooch. We’ve been on the Gold Coast for 7years. I honestly never thought I would love here, I’ve always been a city girl, but I love it on every level. It has definitely become our home. During the week it is very much work focused but on the weekend it is tools down and very much a chilled, barefoot lifestyle. 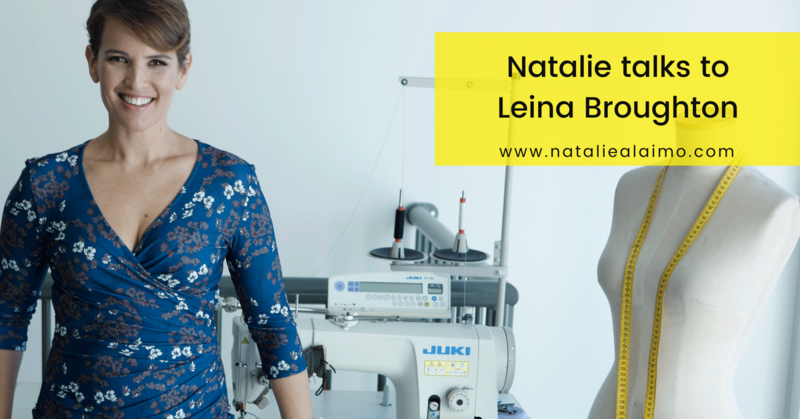 Our label, Leina Broughton, focuses very much on the fit, quality and style of a garment. We specialise in jersey fabric and manufacture all of our garments locally. Every design is very much considered. By that, I mean, that we don’t just pump out clothing, we believe that clothing has the power to be transformational and that takes thought. When you find styles that fit and flatter your body and feel like they were made for you, there is something quite incredible that happens. All of a sudden you start to see changes in how you walk, how you hold yourself and how you interact with others. This becomes a butterfly effect and that energy starts to spread in your world. We are based in Burleigh Heads and have grown to a team of 8. We sell online but also have customers come to the studio for a behind the scenes experience and an expert fit session. A selection of our designs are also available through Birdsnest. Very early start for me with Ari, but I love it, I’ve always been a 5am lady. Every day starts with 10mins of gentle yoga and then a 15min dance off either solo with my headphones on or at full volume with my little groover, it’s crucial for me to kick start the energy for the day. Following kindy drop off, first stop is always coffee from my favourite coffee spot Social Espresso. We work at the studio 8am – 4pm, 4days per week so the pace is fast, just the way I love it. The day is filled with working on design, marketing and lots of brainstorming with the team. I am so incredibly lucky to love, love what I do every single day. The evenings are almost always very chilled with a glass of wine and catch-up chats about the day. I’m also very blessed to have a man who loves to cook, definitely not a strength for me! Evenings are our time to connect all together. Yes, we have celebrated at every stage of our business and this is another amazing place to be. We definitely have growth planned and very much feel like this is just the beginning. Increased. Our business partnership is definitely a huge factor of this. Fleur is GM and looks after all the operations, finance and staff which means I can focus on the Design, Brand and Marketing. How we work together is how I believe we have managed to continue to do that. Even though we may have variances over a month, each quarter has had growth. Which I think is also really important to remember, look at the quarter for growth instead of the month to month, ups and downs is part of business. I’m surprised! I think that as the market grows though, to have so many women operating as consultants or freelancers it doesn’t necessarily need to be about that magic mill mark. We have many goals within our operations for the next little while. We have recently just invested in some digital equipment and technology for pattern development and it has opened our eyes to other options within how we manufacture. We love being a part of keeping local manufacturing alive, the opportunities are exciting. Other goals include developing and branding all our own fabrics and prints in the future so everything about what we offer can become even more special. It is definitely about aligning all the steps to get there and at the same stage increasing our customer reach so that our development can be sustainable. These are much bigger tools of operation we are talking about so the business needs to be able to support it. We are making all the right moves to get there and we have the right team with us to do it but some things take time and that’s totally ok. I am getting a huge amount of inspiration from our customers. We have been doing shoots with our customers for almost a year now and I am just blown away with who they are. I don’t even really know how to explain the feeling when you realise that the common thread of almost all of your customers is how dynamic they are. Seeing inside their worlds is blowing me away and warming my heart beyond belief! It was time. I wanted to be involved in all parts of the business, not just one part. I love business; being in it, talking about it and thinking about what could be, it feeds my thirst to learn. I don’t think I would do it again on my own… Fleur and I make such a great team, I couldn’t imagine not having a business partner to be in it together. I can honestly say to date, I’ve never had those days. We have created a business that compliments us in every way. We believe in the brand, the message and what impact we are having, it means something. For me, it is days if I snap at a random stranger along the way that I know I need a break. That is very out of character for me so I know it’s a sign. We work with 100% commitment in our business and a big part of being able to do that with purpose is having time off. I think the best way is to manage your time at work efficiently so that your productivity is high. Forcing yourself to work less hours is the best gift that you give you and your family to ensure that happens. Long extended hours generally means you start operating in “burn-out” state and you become non-productive. Yes 100%. He is my number one fan and I am his. We both believe in each other whole heartedly and we are also open to taking risks to follow our dreams. We are both creative which means we both feed off each other’s energy. Having a business coach, going to seminars and constantly learning. This is ongoing forever and something Fleur and I believe is crucial for growth. Every obstacle is a test to see how truly committed you are. I am much more of a podcast addict. Currently listening to Gary Vee and Salena Knight. One of my favourite business podcasts is definitely How I built this with Guy Raz.